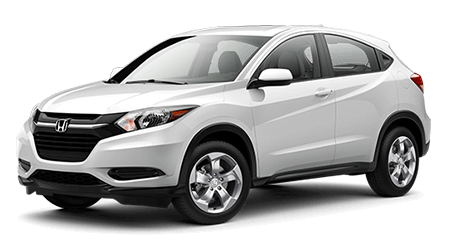 Sleek, stylish and oh-so-sculpted, the 2016 Honda HR-V is an all-new compact crossover joining the Honda lineup. Beautifully contoured and designed, this affordable sport-ute is ready for you to sit in the driver's seat at Honda of Murfreesboro in Murfreesboro, TN. Our seasoned sales professionals would love to show everything this amazing motoring machine has to offer our Nashville, Shelbyville, and Franklin, TN friends, so head on over today and let's take a tour of the all- Honda HR-V compact crossover. This aerodynamic, stylish – and not to mention cute - sports-ute is just what your family needs to get out of the driving doldrums! A compact SUV like the 2016 Honda HR-V has to have a versatile powertrain to be able to zip around city traffic and still perform as a competent off-roader. The HR-V does not disappoint with its peppy 1.8L Inline 4 engine pumping out 141 horses and betrothed to an innovative and efficient CVT automatic or an optional 6-speed manual transmission if you enjoy that sportier driving feel. You'll get standard FWD, but all models offer optional real-time AWD with an intelligent control system which will provide added stability and traction during inclement weather. And don't expect to be making many pit stops in the gorgeous 2016 Honda HR-V, because it achieves an amazing EPA-estimated 28 city/35 highway* -- and remember, this isn't even a hybrid! You can choose from three trims in the 2016 HR-V is -- the LX, EX, and EX-L Navi -- and you'll be blown away by the standard features. 17-inch alloy wheels are standard on the base LX, which also includes exterior features such as daytime running lights, rear roofline spoiler, power side-view mirrors with an expanded view driver's side mirrors, and LED brake lights. The sporty cabin features illuminated steering wheel-mounted controls, a multi-angle rearview camera, Bluetooth, and a 4-speaker audio system with the 5-inch color LCD screen and speed sensitive volume. Hop up to the EX and your display expands to a 7-inch touchscreen, and your entertainment expands to include HondaLink Next Generation and Pandora compatibility, your purview expands to include a power moonroof, and comfort and convenience expands to include a Smart Entry system with push-button start, heated power mirrors and heated front seats. The EX-L Navi with a leather-wrapped steering wheel, leather seats, a voice-recognition navigation system, HD Radio, Sirius XM and exterior roof rails. If you like adventure in a beautiful compact package, the 2016 Honda HR-V is calling your name. Come see why it speaks to you at Honda of Murfreesboro, serving Franklin, Shelbyville, and Nashville, TN, and you'll be sure to be conversing with your own 2016 HR-V before the day is done! * 25 city/34 highway/28 combined mpg rating for 6MT models. 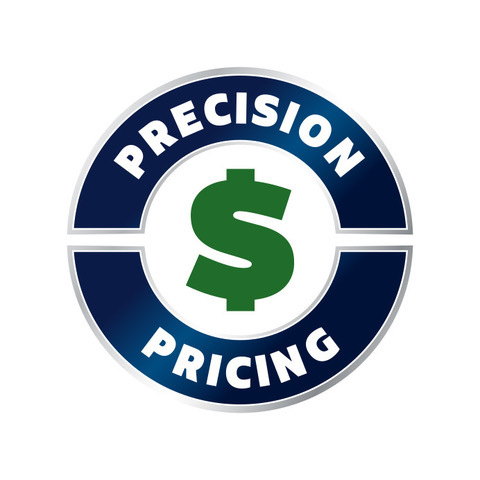 28 city/35 highway/31 combined mpg rating for 2WD CVT models. 27 city/32 highway/29 combined mpg rating for AWD CVT models. Based on 2016 EPA mileage ratings. Use for comparison purposes only. Your mileage will vary depending on how you drive and maintain your vehicle, driving conditions and other factors.